River levels between Salem and Portland are expected to continue to raise slowly but remain below flood stage. Unusually heavy rain in Northwest Oregon has turned the Willamette River into a minefield of debris. 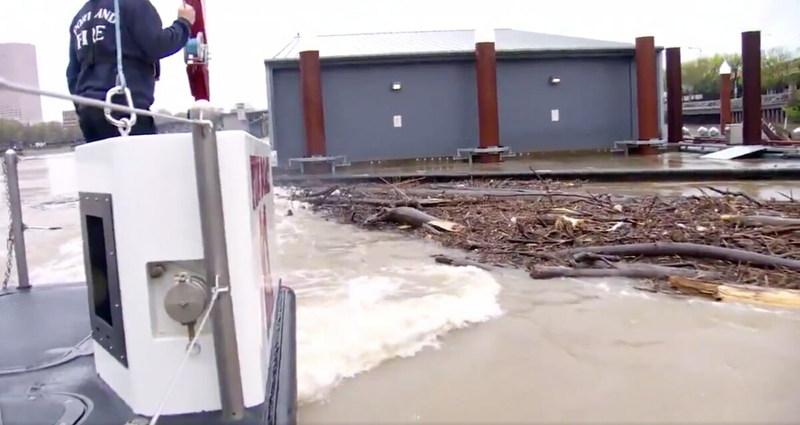 WW's news partner KATU floated the river today with Portland Fire and Rescue, capturing on video the mess that has washed into Portland on a swollen river. The fire department and the National Weather Service are advising that boaters avoid the river until the flooding subsides. NWS yesterday issued flood warnings for towns all along the Willamette. That warning is in effect throughout the weekend. The agency notes that river levels between Salem and Portland are expected to continue to raise slowly but remain below flood stage.